All OnlineAHA eLearning courses begin with a course key, which is a 12-14-digit alphanumeric code used to access purchased courses. A course key may be purchased to complete the training. 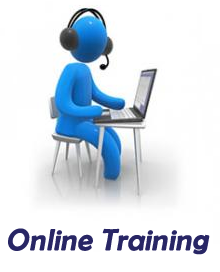 We offer the following online training courses; CME/CE hours available. Skills session required. After completing the online portion, print the certificate and bring to skills only class within 60 days of online completion. The eLearning component of BLS blended learning, HeartCode BLS uses the latest eSimulation technology to enable students to assess and treat patients in virtual healthcare settings. Utilizing a variety of eLearning assets such as dramatizations, eSimulations, animations, self-directed learning, and interactive activities, this course teaches BLS knowledge and skills. This method of learning provides training consistency, adaptability to different learning styles, and flexibility for the student’s and employer’s time. Students can work at their own pace applying their knowledge to real-time decision making and skills development. Blended training also supports the need for hands-on learning of psychomotor skills. Debriefings and coaching are provided immediately after each simulation. These self-directed Heartsaver courses are intended for anyone with little or no medical training who needs a course completion card for job, regulatory (e.g. OSHA), or other requirements. These courses can also be taken by anyone who wants to be prepared for an emergency in any setting. These self-directed Heartsaver courses are intended for anyone with little or no medical training who needs a course completion card for job, regulatory (e.g., OSHA), or other requirements. These courses can also be taken by anyone who wants to be prepared for an emergency in any setting. These self-directed Heartsaver Pediatric First Aid CPR AED Online is intended for those involved in childcare who have a duty to respond to illnesses and injuries in a child or infant in the first few minutes until professional help arrives. This audience includes child care workers, teachers, foster care workers, camp counselors, youth organizations, and coaches for children’s sports organizations. This course is also ideal for parents, grandparents, babysitters, and guardians. This course is also appropriate for educators, teachers and the general public. Remember you must also take the skills only course to receive a card.